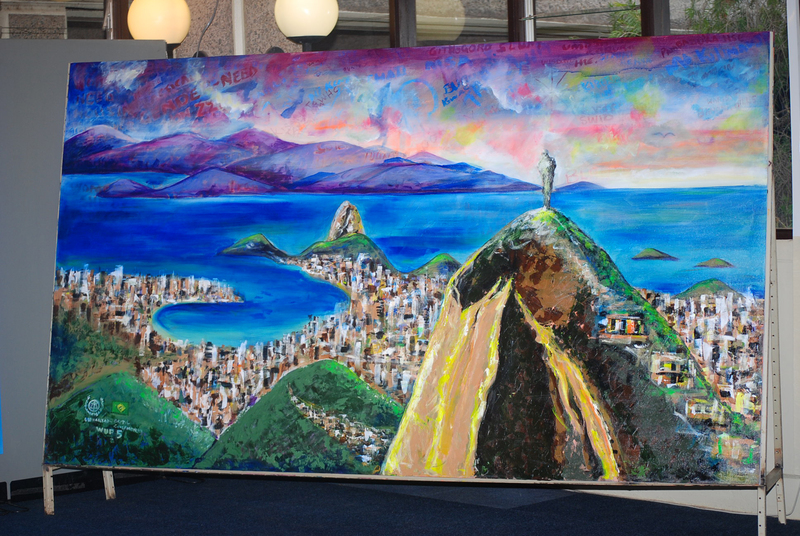 Art work at the venue. 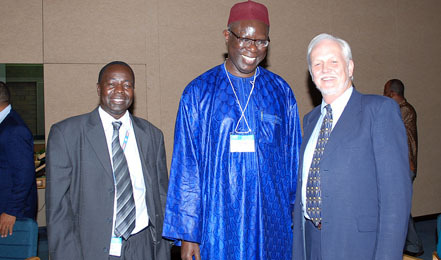 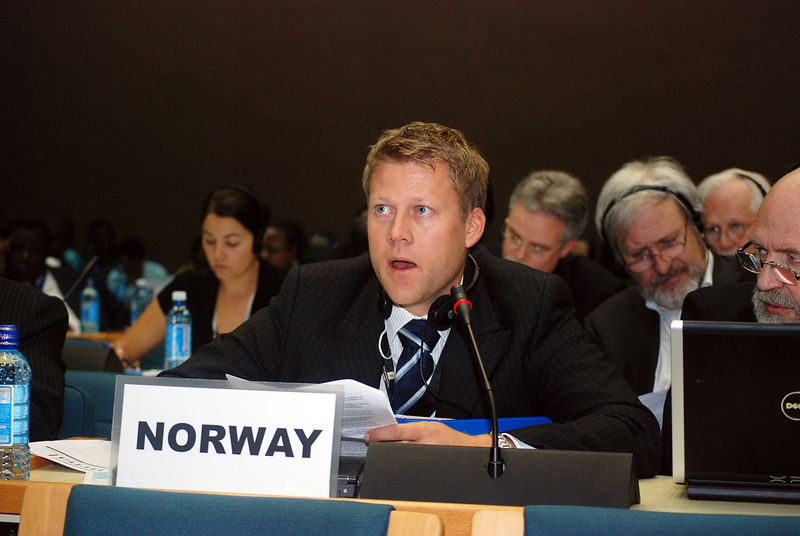 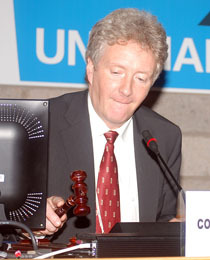 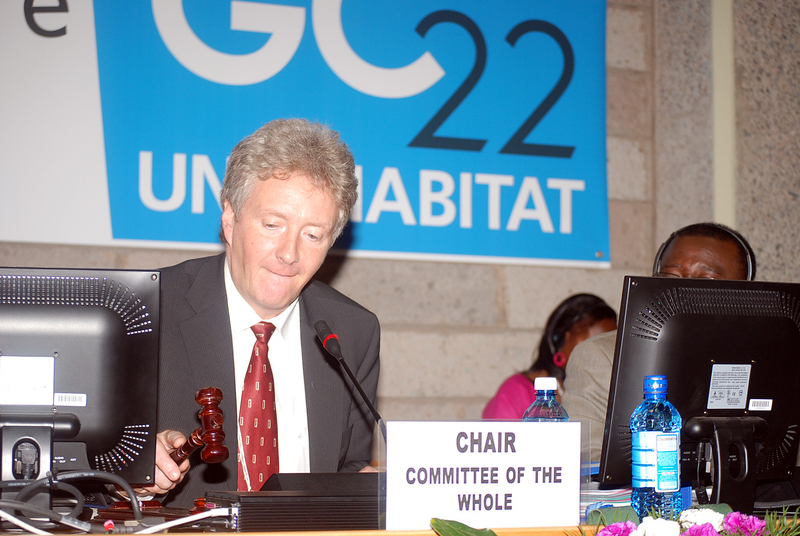 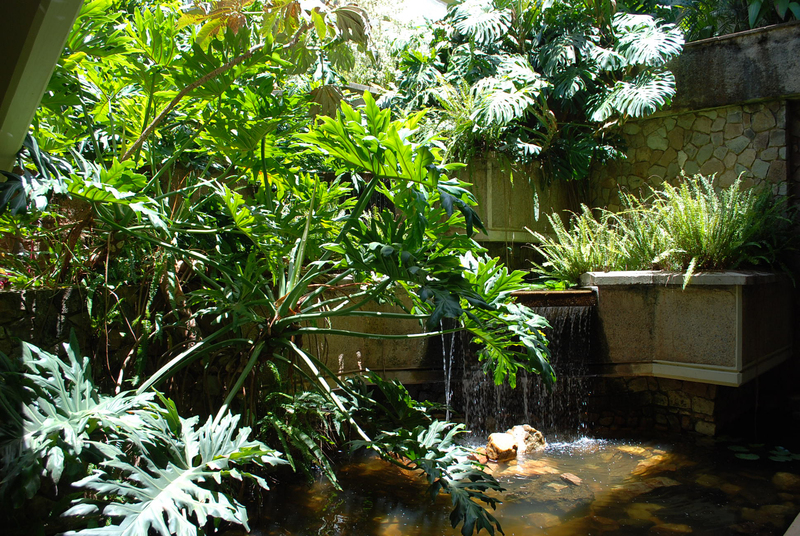 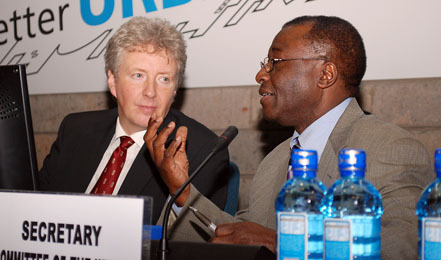 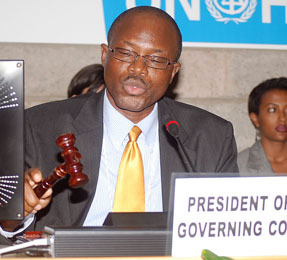 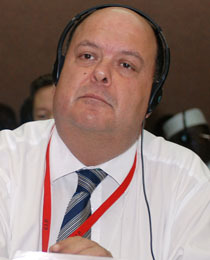 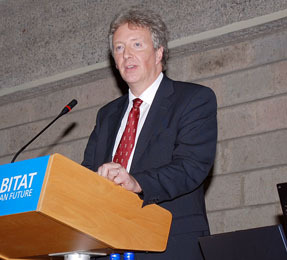 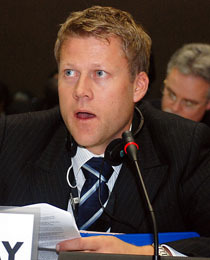 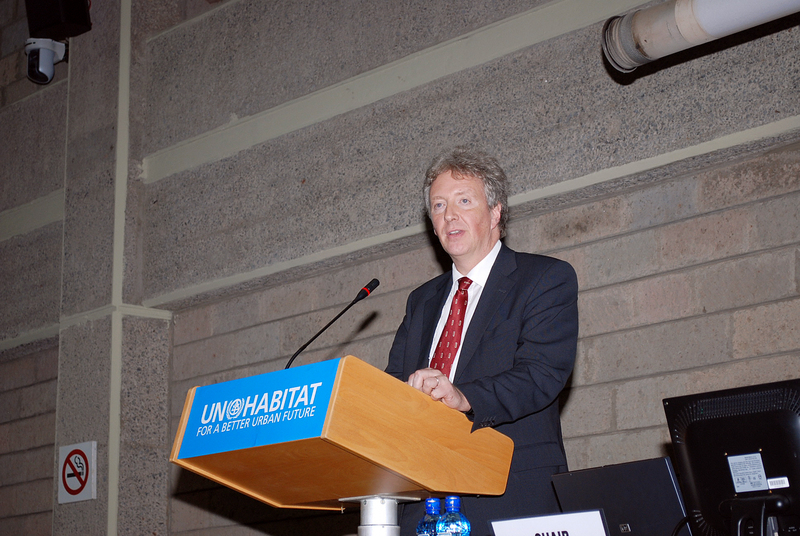 Delegates convened for the final day of the UN-HABITAT GC 22 on Friday, 3 April. 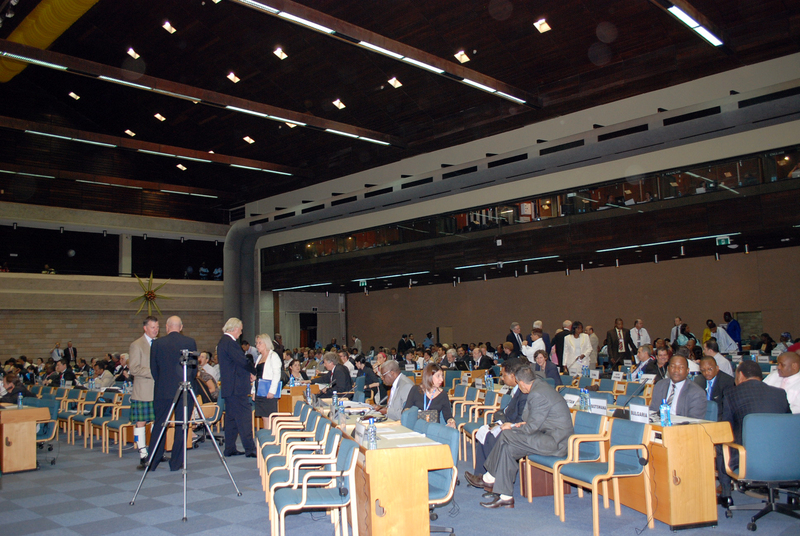 They convened in the closing session of the Committee of the Whole in the morning, and for closing plenary in the evening. 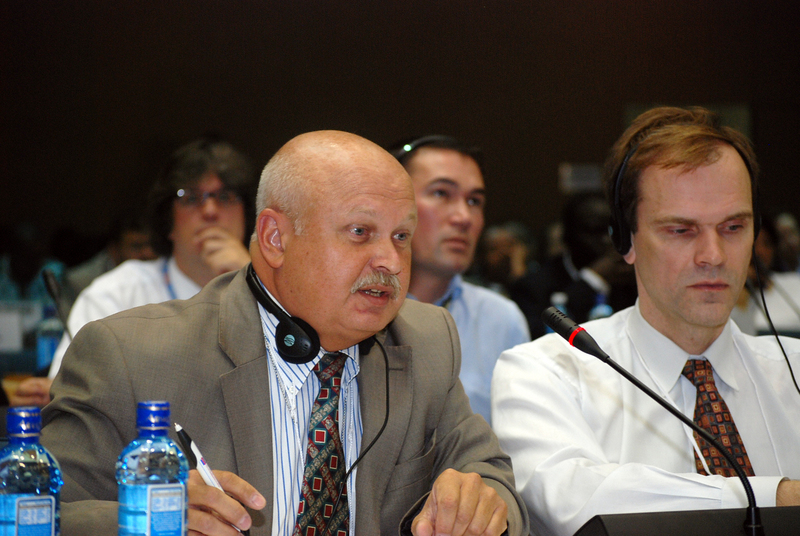 In the COW’s final session, delegates discussed the COW report and the report of the drafting committee on the draft resolutions, which were both forwarded to plenary for final adoption. 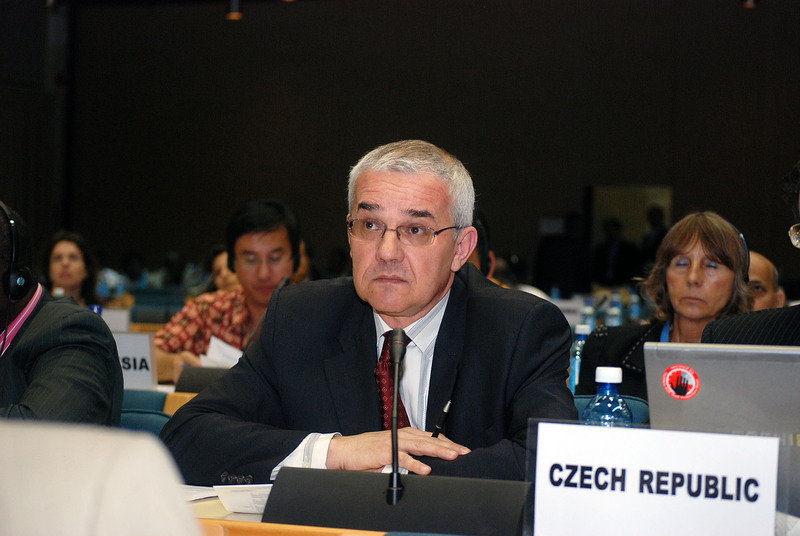 In the evening, plenary adopted the COW’s report, the report of the drafting committee on the draft resolutions, the Chair’s summary of the high-level segment and dialogue, and the draft plenary reports. 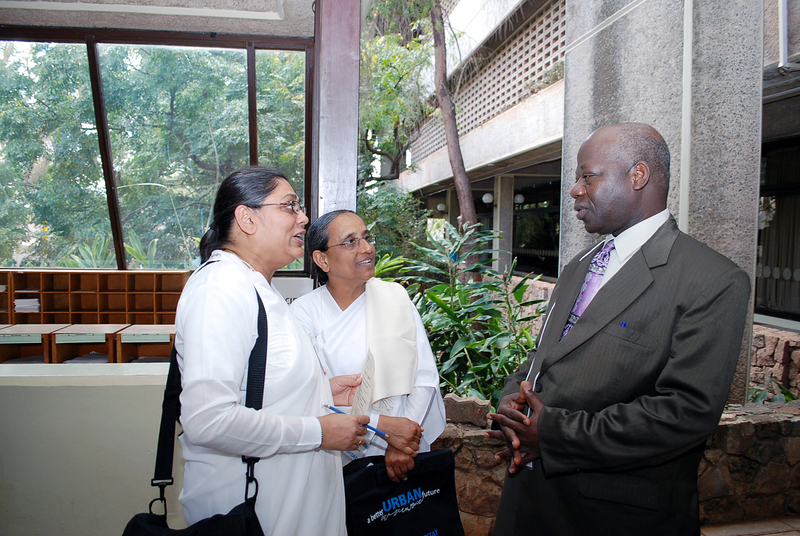 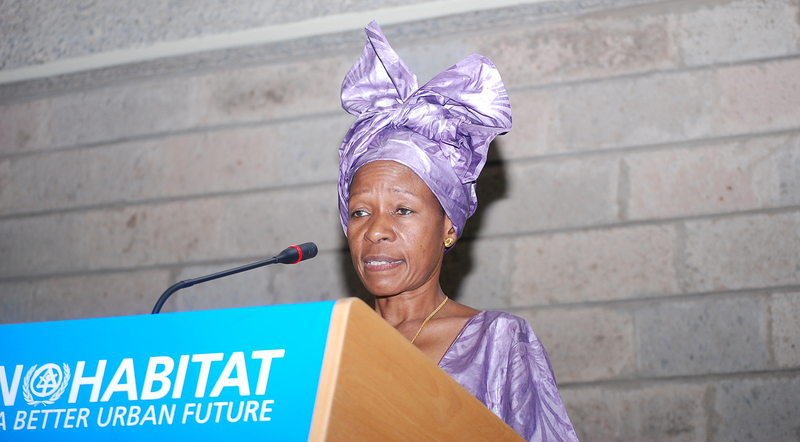 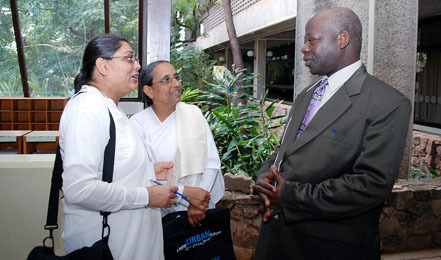 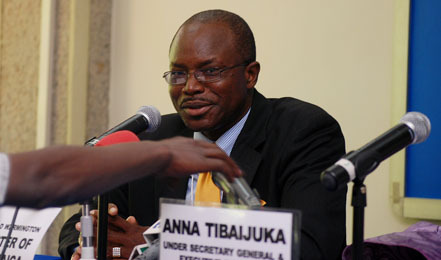 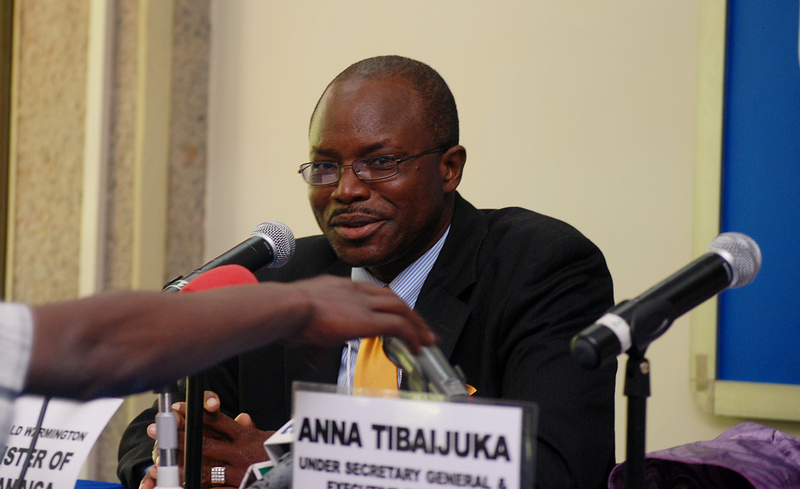 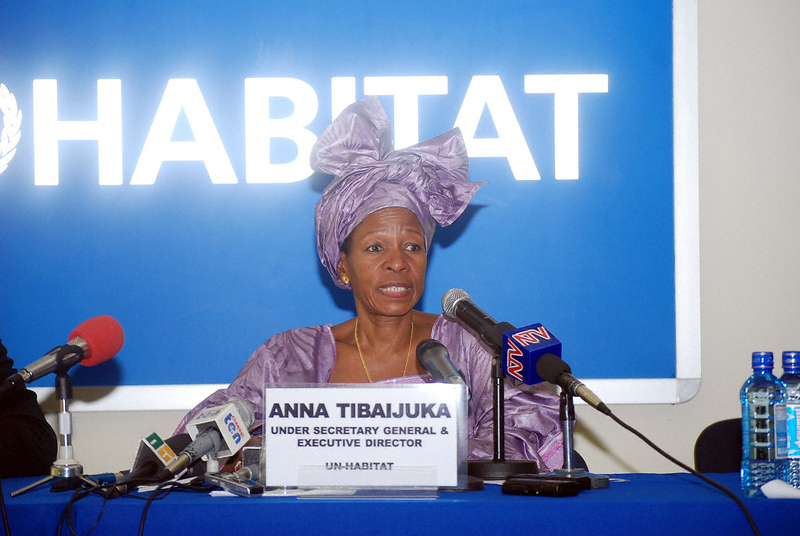 At the closure of the session, delegates heard remarks from a number of delegations, who all congratulated Anna Tibaijuka on her work while at the helm of UN-HABITAT. 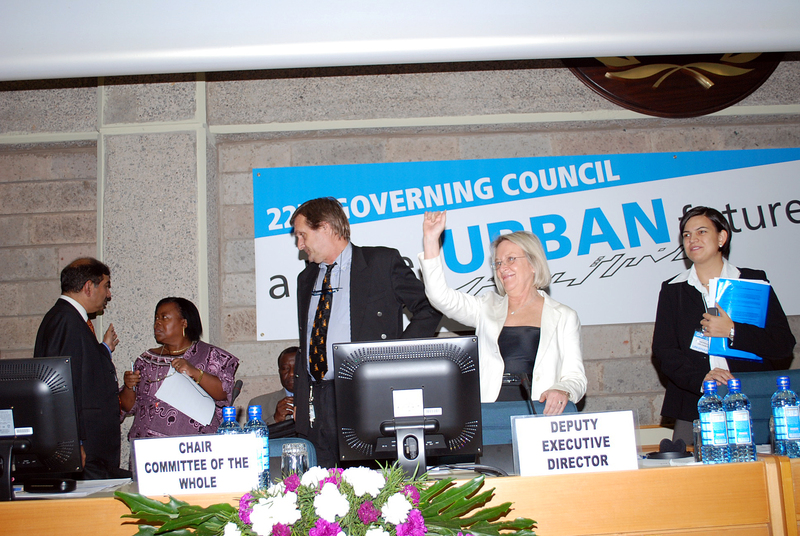 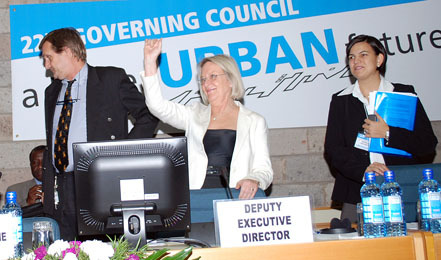 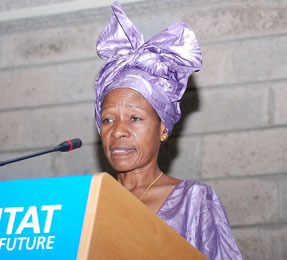 Anna Tibaijuka received a standing ovation from the plenary, as this is her last GC as Executive Director of UN-HABITAT. 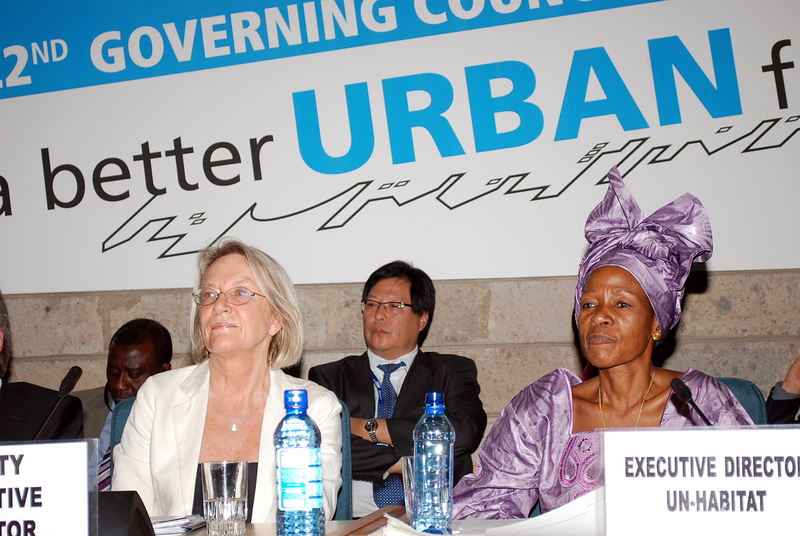 L-R: Inga Bjork-Klevby, Deputy Executive Director, UN-HABITAT and Anna Tibaijuka listen to delegates, who praised the work of UN-HABITAT and lauded the increment in budgetary allocations for Habitat activities. 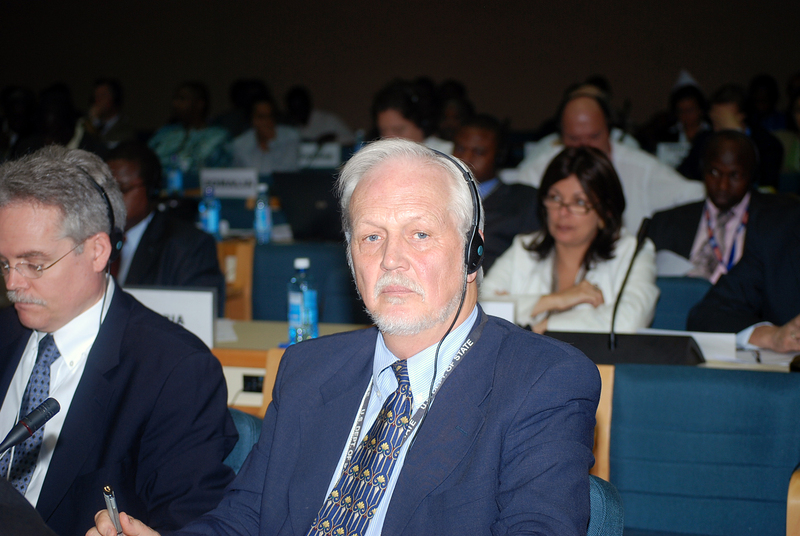 GC 22 President Everald Warmington gaveled the meeting to a close at 6:51pm. 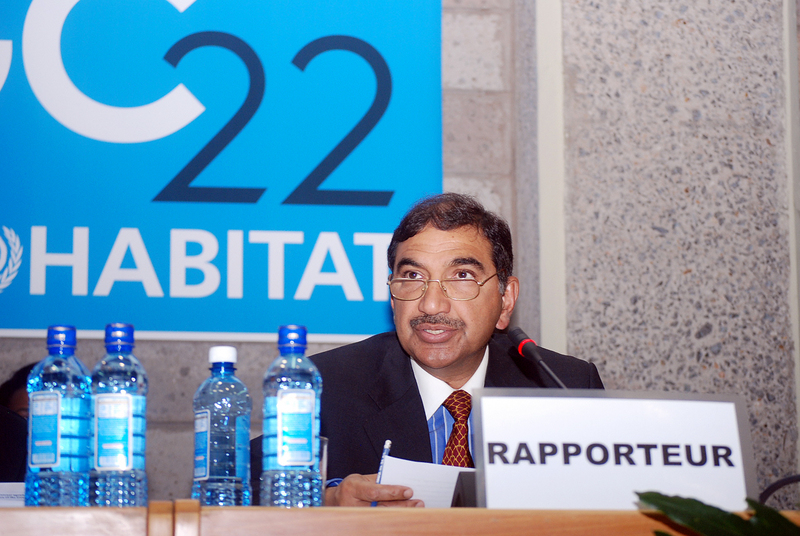 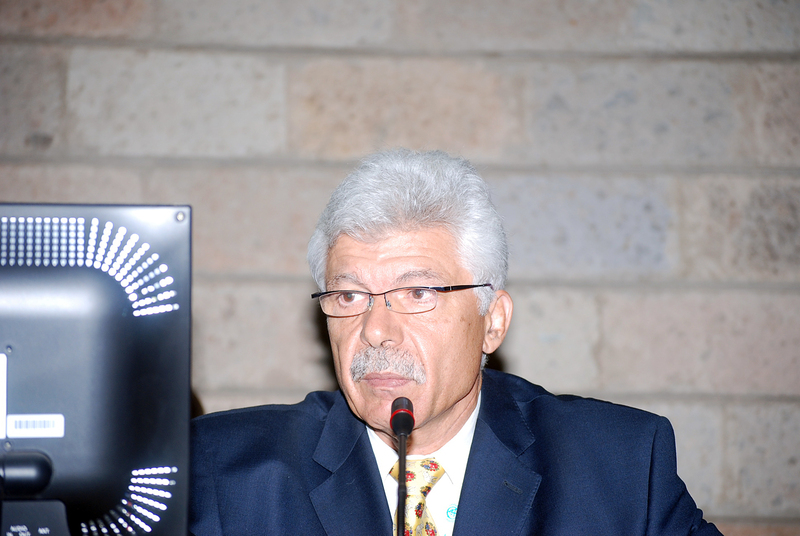 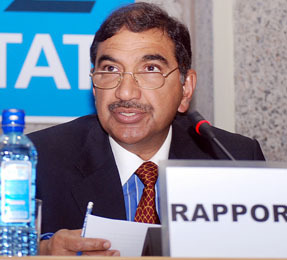 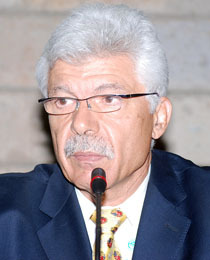 Iftikhar Arain, Rapporteur, introduced the draft report of the Governing Council. 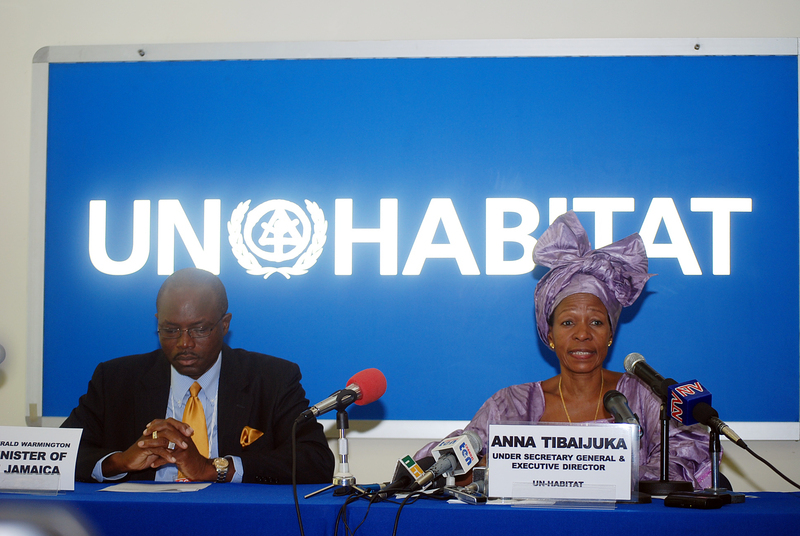 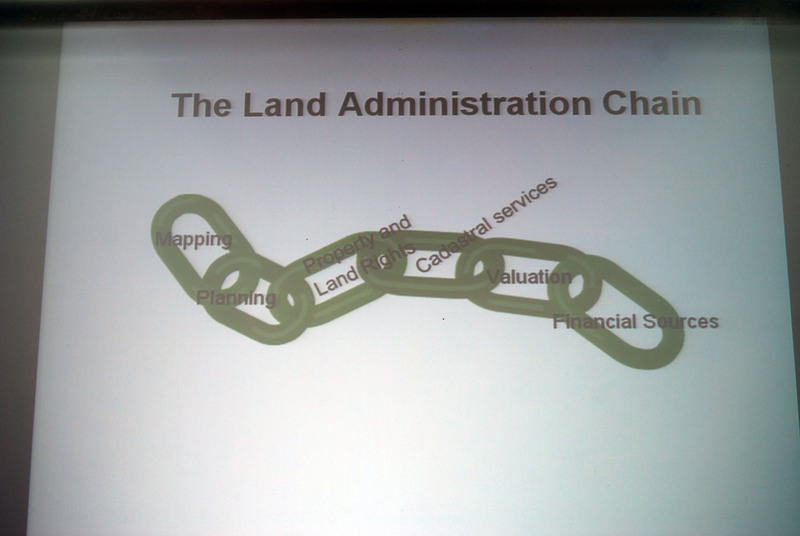 Anna Tibaijuka gave a historical timeline of the work of the UN on settlement and the work of UN-HABITAT, noting the growing importance being placed on UN-HABITAT activities. 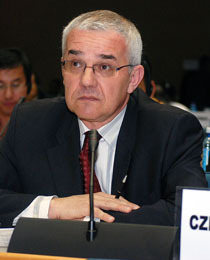 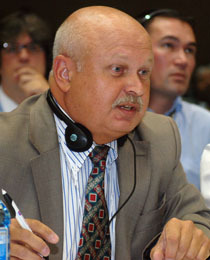 Franz-B Marre introduced the report of the COW to plenary. 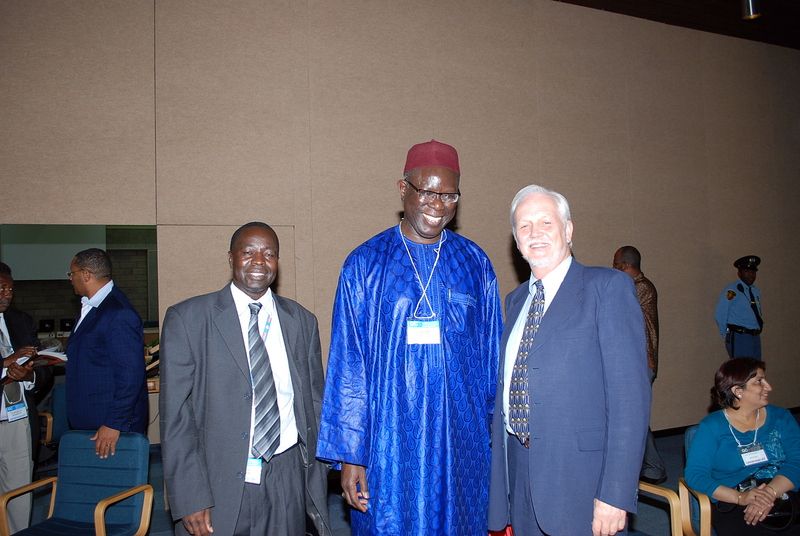 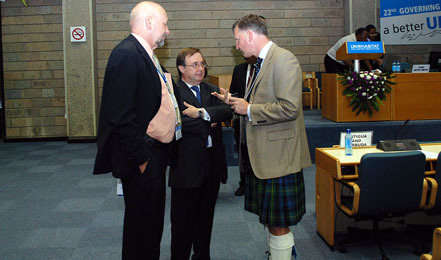 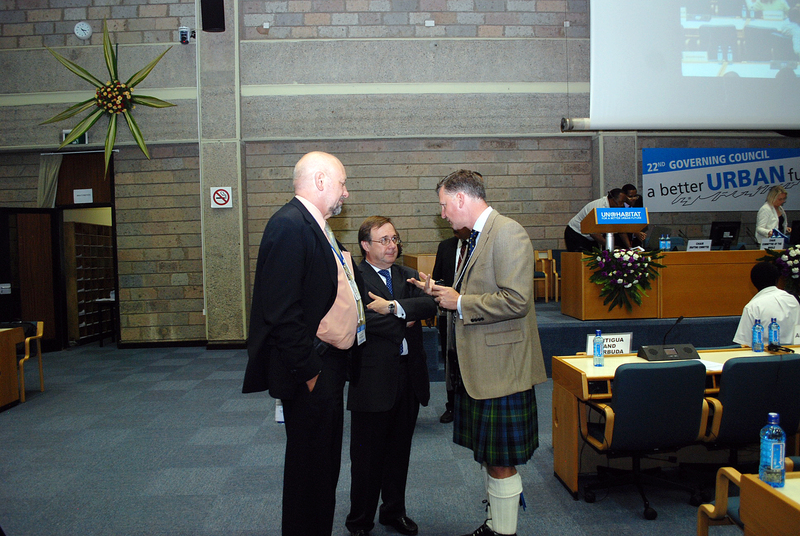 L-R: Franz-B Marre, Germany, President of the COW, and Mohamed Halfani, UN-HABITAT, in informal consultations. 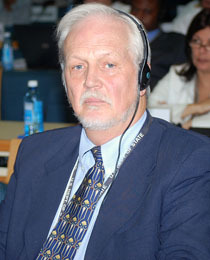 Franz-B Marre gaveled the session to a close. 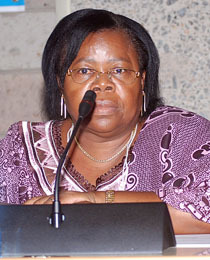 Christina Msadabwe Lambart, Zambia, Chair of the Drafting Committee, gave a report of the drafting committee. 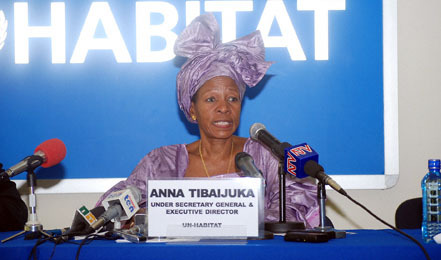 Commenting on the donor bias towards rural areas in development projects, Anna Tibaijuka said that cities are a magnet of hope and that without them, there would be no agricultural development. 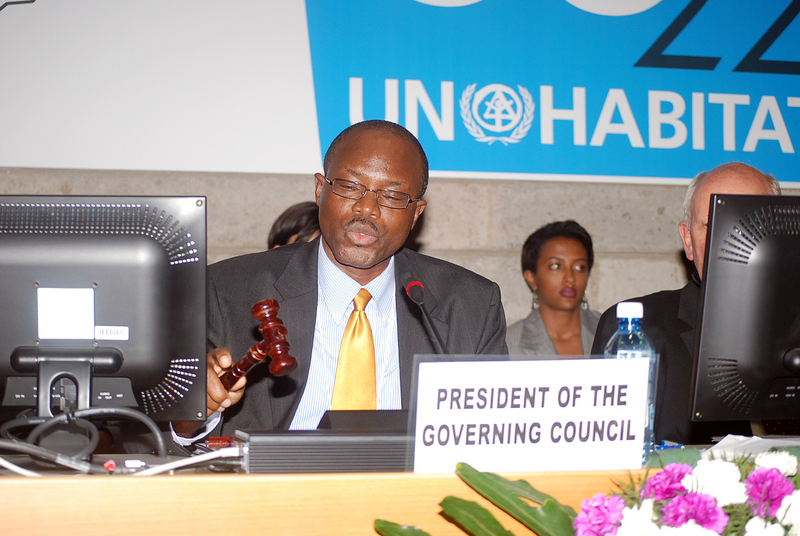 GC 22 President Everald Warmington lauded the deliberations at GC 22 as being productive and successful. 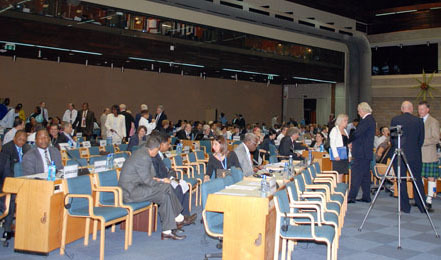 Participants in informal consultations before closing plenary.